Wonderbly is a personalized children’s books company, their books going far beyond just name personalization, with plots personalized to children’s preferences. Wonderbly even allow their customers to preview an entire book online before they order a physical copy, meaning that every book offers a fully personal and special experience for every child. Wonderbly has shipped personalized books to every country in the world, and even one to space! The company has had great success over the past few years, being awarded the Fastest Growing Tech Company in 2017 by the Sunday Times. Due to the nature of their business, the Wonderbly infrastructure scales a large amount during the build up to the holiday season. With compute-heavy rendering processes scaling up intensely over the course of a short period of time, Wonderbly were looking for a solution which could help alleviate cost pressures whilst simultaneously not jeopardizing the integrity of their environments. Spotinst Elastigroup helped Wonderbly to drastically reduce their EC2 spend whilst still spinning up enough instances to cover the increased compute pressures placed on their environments. With cost reductions of between 75-80%, Wonderbly could now scale their applications as much as they needed without being hit by huge costs. Wonderbly had thought about using Spot Instances to reduce their costs before coming across Spotinst, but Ben Doyle, Wonderbly’s Head of Site Reliability, was under no illusions about how much work that would require. 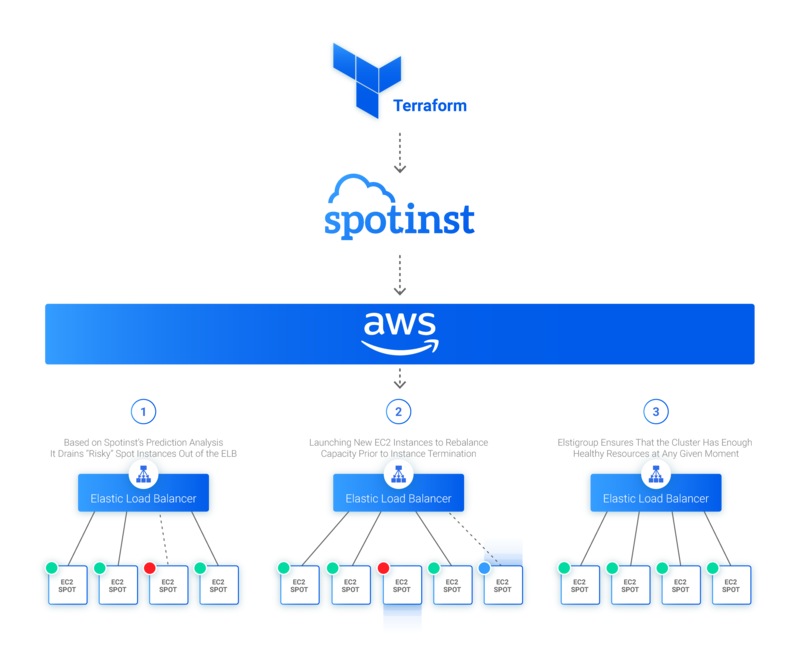 Instead of having to build and maintain their own Spot fleet management tool, Ben’s team simply had to set up their account with Spotinst and migrate over their workloads with the help of the Spotinst Terraform Provider. Instead of a Spot project which may have taken Wonderbly’s developer teams months, the team had entire environments running on Spot in only a matter of days. By using Spotinst Terraform Provider, customers can continue working with their Terraform templates to create their environments just as they did before. With just a slight modification to their existing TF templates, all Terraform users can launch an Elastigroup and continue to work as they did before. This means that the Wonderbly developers didn’t have to change their existing ways of working, making using Spotinst a simple and non-disruptive process. With the coming holiday season, Wonderbly have a busy release schedule with numerous new and exciting books coming out over the coming weeks. Naturally, the company is expecting even more traffic than last year, as Wonderbly growth continues to rise, and Spotinst Elastigroup is ready to help them to make this the most successful holiday season yet!